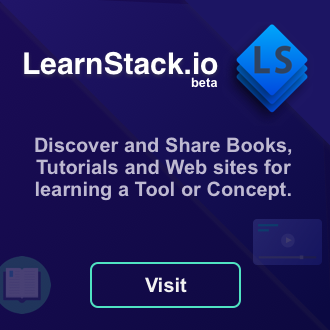 Introducing learnstack.io. A place to find and share resources like Books, Tutorials, Courses and Web sites to learn a Tool or Concept. Laravel IoC Container is a powerful component for inserting class dependencies at runtime. It is the core of the Laravel Framework. Understanding the IoC Container helps us write better application using the Framework and also to extend the Framework. Let’s explore how the Laravel IoC Container works. In this final part, we’ll cover the UI of the Slack Bot Clone application. We will be using Vue.js to build the UI and the data will be fetched from the firebase database. Slack bot is really useful at getting things done easier for the user. This is a three part series of how to build a slack bot like feature using the Firebase Realtime Database and Vue.js. This is not a tutorial for building a bot inside of Slack, but a standalone one with an aim to teach you about the Firebase Realtime Database and Vue.js Reactivity and how to go about building such a feature.